Wield the legendary magic sword of the famous Arthur Pendragon! 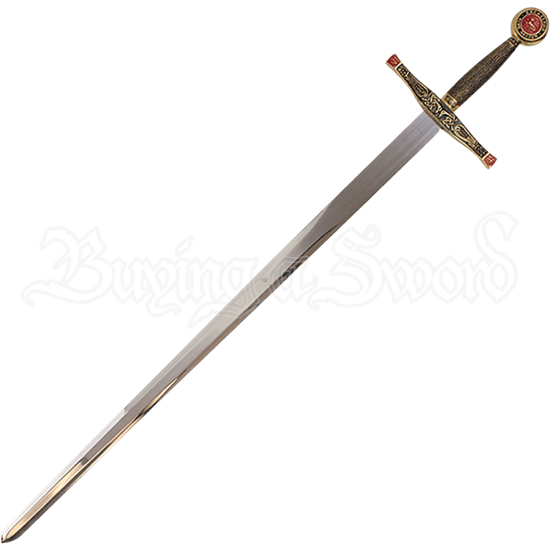 The King Arthur Excalibur Sword with Sheath is an inspired take on the Arthurian blade, made of high quality stainless steel and accompanied by an ornate hilt and sheath. This decorative medieval sword has a straight crossguard detailed with Celtic knotwork and birdlike creatures. The quillions are tipped in red, contrasting beautifully against the hilts antique brass tone. Slightly contoured, the grip features wire-like texturing for a sturdy hold. 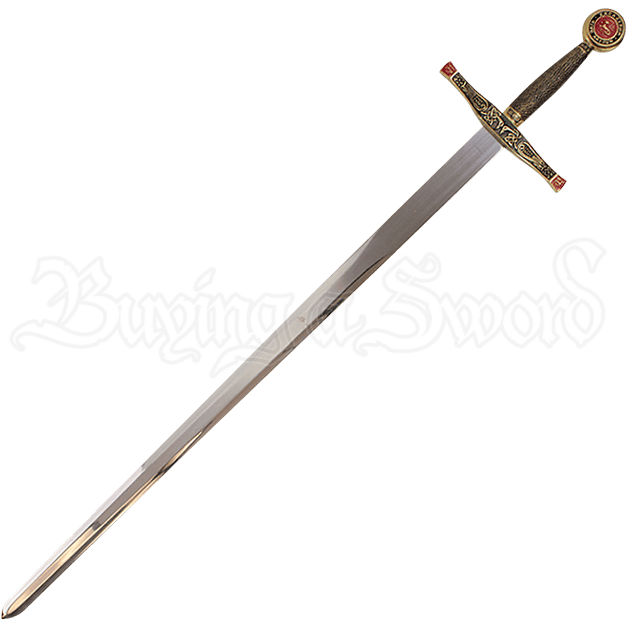 The sword ends in a round, brass tone pommel, the center of which displays a heraldic dragon upon a red background encircled by the words EXCALIBUR and KING ARTHUR. The included black sheath features matching ornate metal detail at its opening and endcap, creating a cohesive collectible. Add the weapon of King Arthur, artfully crafted to resemble the blade bestowed upon the ruler by the lady of the lake, to your sword collections and medieval themed displays.